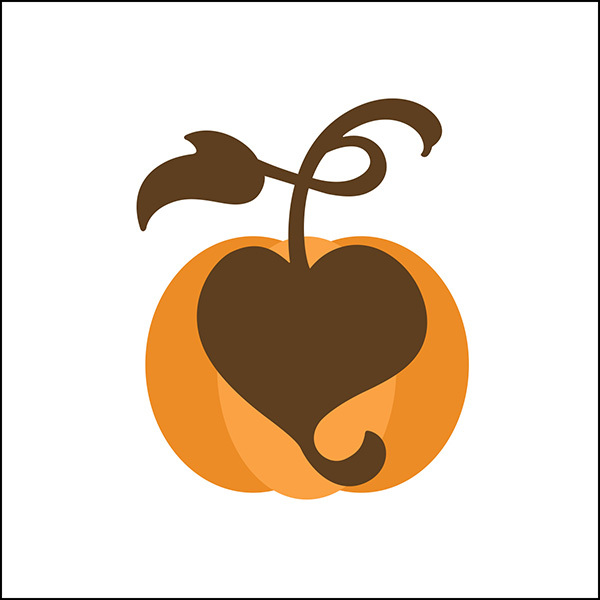 With Fall comes a chill in the air, leaves and pumpkins everywhere! My favorite thing about pumpkins (besides their color) is the often overlooked (and some would say bothersome) seeds! I love them roasted as a snack or tossed with a salad. 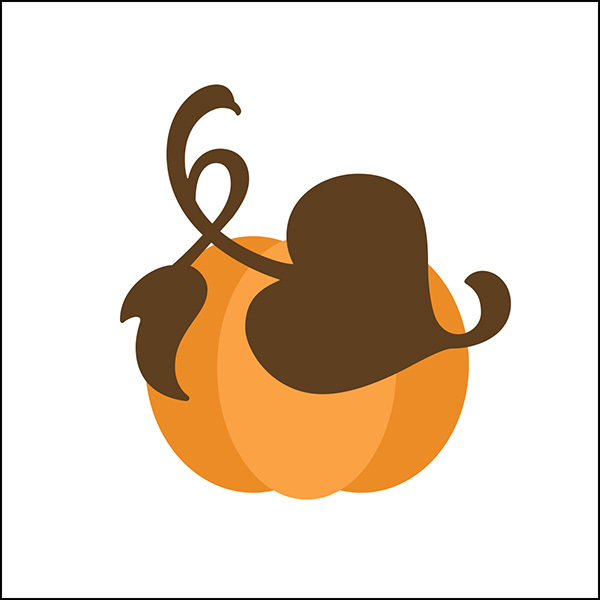 In this tutorial we are going to create a pumpkin using custom shapes. 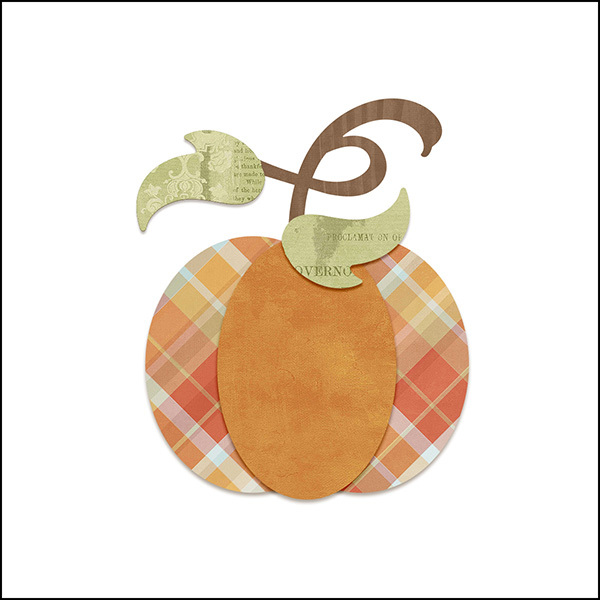 It’s the perfect addition to a fall scrapbook page, greeting card or recipe card. Click on the Foreground Color Clip to open the Color Picker. In the dialog box, enter Hex Code #ec8c26 or color of your choosing. Click OK.
Get the Ellipse tool. It’s nested with the Shape tools. In the Tool Options, click on the Create a New Shape Layer icon. Set the Style to None. (Photoshop: Set the Tool Mode to Shape and the Path Operation to New Layer.) Open the Geometry Options and choose Fixed Size, set the Width to 1.44 inches, and the Height 1.713 inches. On the document, click and drag to place the shape in the position shown below. Press Ctrl J (Mac: Cmd J) to duplicate the layer. On the document, while holding down the Shift key, click and drag the duplicate shape into position to the right of the first shape as shown below. In the dialing box, enter Hex Code #faa244 or color of your choosing. Click OK. In the Tool Options, open the Geometry Options and choose Fixed Size. Set the Width to 1.197 inches and the Height 1.76 inches. On the document, click and drag to create a shape on top of the first two as shown below. To reposition the new shape, get the Move tool and use the Arrow keys. In the dialing box, enter Hex Code #5e3f1f or color of your choosing. Click OK. In the Tool Options, click on the Create a New Shape Layer icon. Set the Style to None. (Photoshop: Set the Tool Mode to Shape and the Path Operation to New Layer). Open the Custom Shape Picker and choose the Hedera 2 shape. If you don’t see the Hedera 2 shape, open the Custom Shapes menu and choose Ornaments. Open the Geometry Options and choose Fixed Size, set the Width to 2.607 inches, and the Height 2.11 inches. 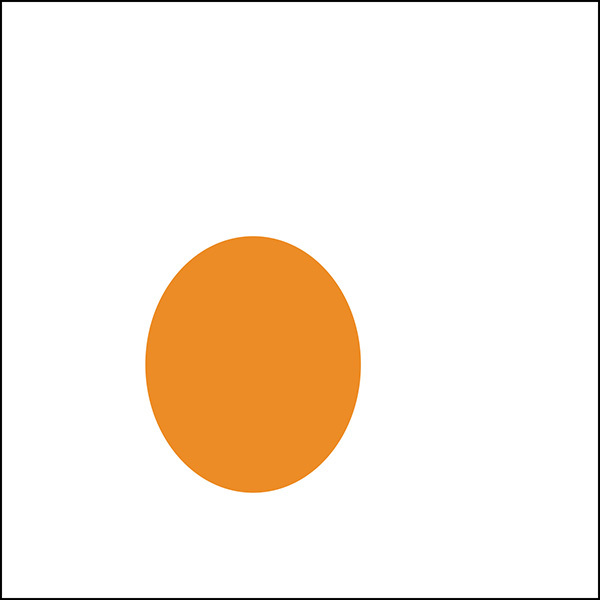 On the document, click and drag to create the shape in the position shown below. In the Tool Options, click on the Rotate icon, and set the Angle to 65 degrees. In the Layers panel, double click on the thumbnail of the duplicate shape layer to open up the Color Picker. In the dialog box, enter Hex Code #768d46 or color of your choosing. Click OK. In the Layers panel, click on the brown stem layer to activate it. 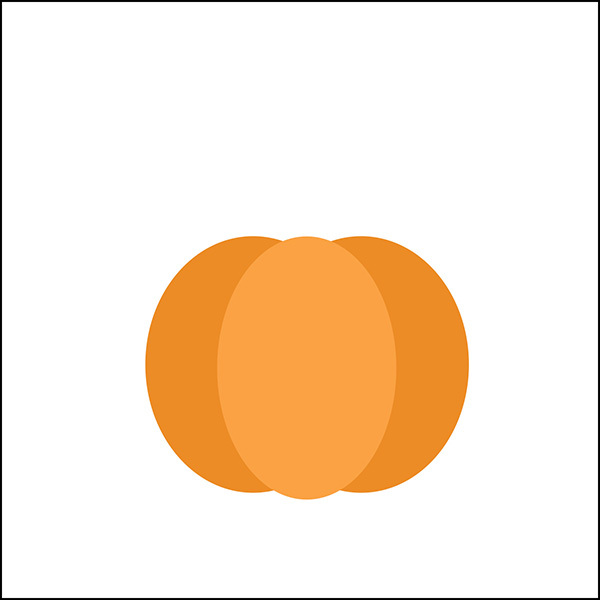 In the Layers panel, drag the brown stem shape down below the pumpkin layers. Click on the green stem layer to activate it. In the Tool Options, click on the New Selection icon and set Feather to 0. On the document, click and draw around the shape, leaving only the leaf area unselected. See below. Press the Backspace key (Mac: Delete key) to delete the selected pixels. In the Menu Bar, choose Select > Deselect. Press Ctrl J (Mac: Cmd J) to duplicate the leaf layer. In the Tool Options, click on the Rotate icon and set the Angle to 180 degrees. On the document, click and drag inside the bounding box to move the duplicate leaf into position as shown below. 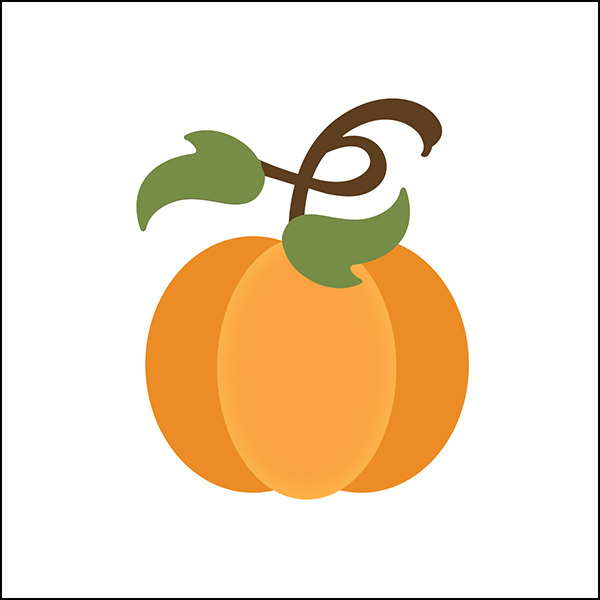 In the Layers panel, click on the center pumpkin shape to activate it. Save the document (File > Save As) as a layered PSD file. 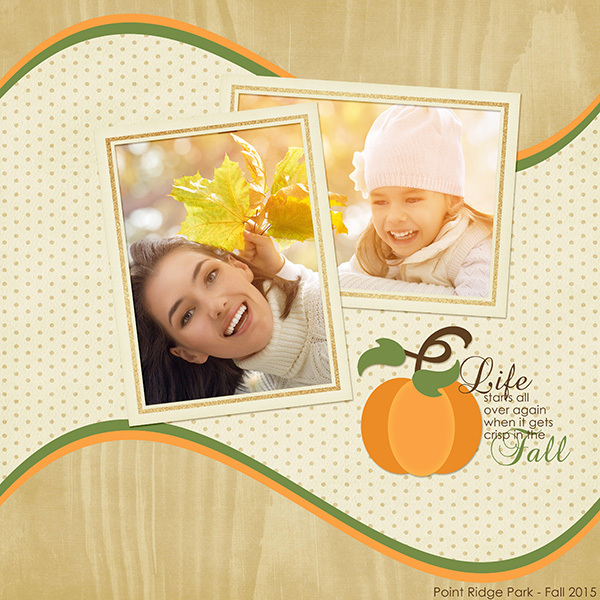 Open a layered scrapbook page (File > Open) on which you would like to use the pumpkin. In the Layers panel, click on the bottom pumpkin layer (not the Background layer) to activate it. 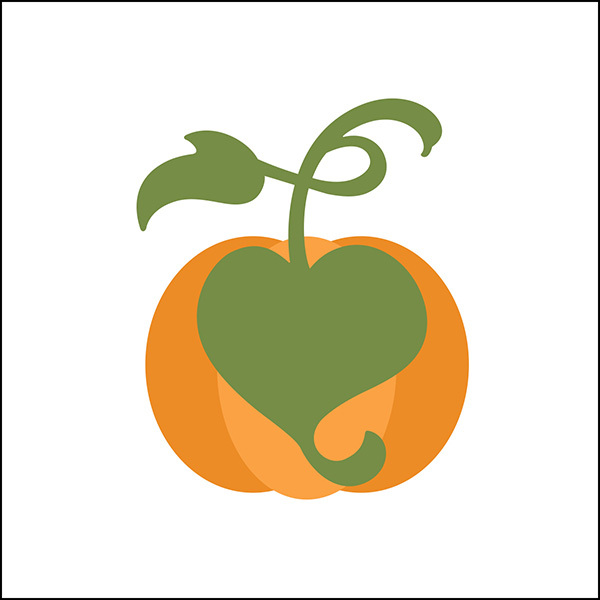 Then holding down the Shift key, click on the top pumpkin (leaf) layer. All pumpkin layers should now be active. 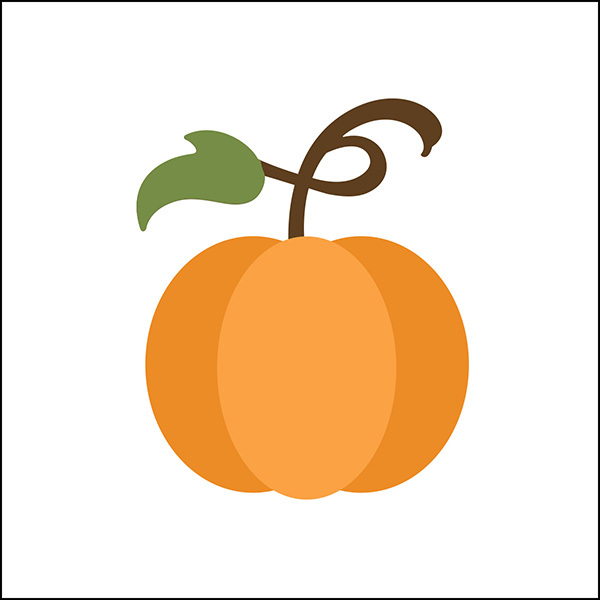 On the document, click on the pumpkin and drag it onto the scrapbook page. You can use the Pumpkin as is or to add more visual interest clip papers and add drop shadows to the layers as shown in the sample below. Think of all the possibilities! Here’s my finished layout after I’ve added my pumpkin! 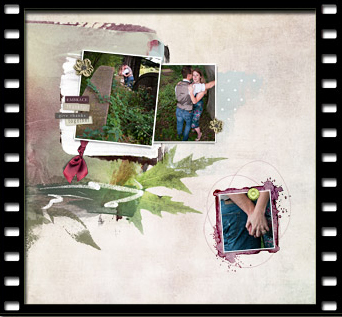 I can’t wait to see what you come up with in the Digi Scrap Tutorial Gallery. 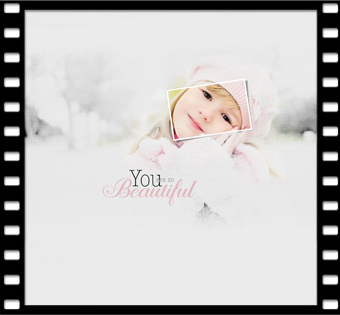 Give your layout a whisper soft look using a color photo that fades into black and white. Create a breakaway anchor template using simple selection skills, an ordinary embellishment, and a little know-how. Create a drippy watercolor frame using the Liquify filter and a dingbat font. Thank you for the tutorial. It helped me see how putting shapes together to make a whole graphic. That’s why I LOVE shapes, they are so versatile!